I had a non pre-planned trip to Attakatti on the scenic Pollachi-Valparai Road, in the Anamalai Mountains. I started my journey in the morning together with 2 boys who are familiar with the place. It took me around 40 minutes (30 Kms form my house) to reach Aliyar ashram on the Polalchi valpari Road, situated in the beautiful natural setting at the foothills of the Western Ghats,2 kms away from Aliyar Dam. I just enjoyed the beauty, relaxed a bit. But not excited as it reminded me of some merchandise in the name of Yoga that is going on everywhere. An inner voice told me, ‘now people started to say that they can cure almost every sickness under the skies by yoga, and in the coming years yogis and yoginees start to spread the good news that you don’t need to eat to survive, just do yoga…’. As my weird mind spreading these true or false thoughts, I started to look for another palace for my relaxation therapy. So I asked the boys whether we could go further. They were extremely happy and suggested Valparai. I told them that I am not for that much of travel, but can go half way and decided to go as far as Attakatti. Attakatti is around 10 Kms from Aliyar Ashram and the road has around 20 hairpin bents. As we came out from the Ashram and cruised in the Anamalai mountain range my spirits revived. The roads are in good condition, broad enough for two vehicles to go, but at places, it is narrow. All the more, my Fiat Palio sport did a wonderful job that gave me more excitement as I was driving. 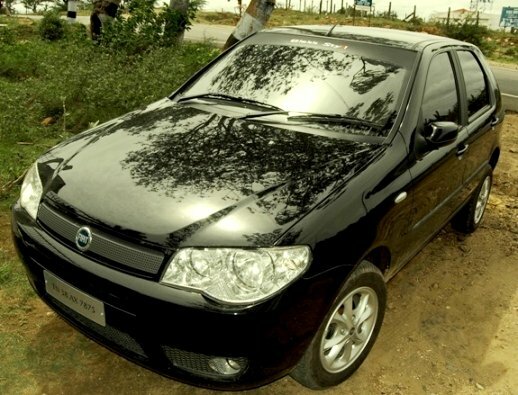 Breaking the hairpin bends in the third gear was a different driving experience with my Blakk Styil Fiat. We came to the Attakatti check post and went further for few minutes and sat down in the entrance of a pump-house. The scenery is absolutely beautiful, mountains surrounding everywhere, Aliyar dam below spreading its silver wings. Americans would surely say “oh..boyo boy….”. I too said ‘boyo boy….’ and came back revitalized.